Alice Cooper is known as one of the greatest entertainers in rock music, inspiring his audiences for over 40 years now. 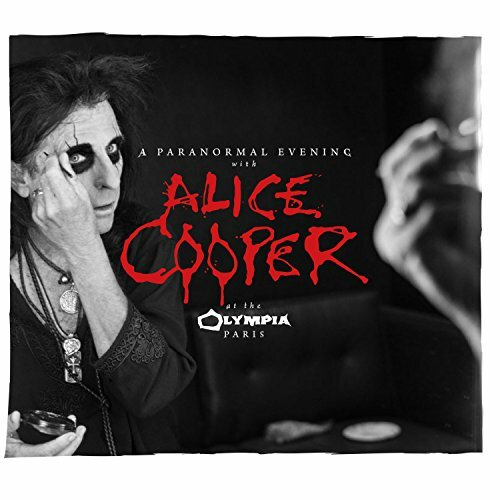 A Paranormal Evening At The Olympia Paris which was recorded during Alice Coopers European Tour 2017 on the 7th of December at the L Olympia in Paris gives the audience the chance the be a witness of one of these fine and legendary theatrical performances. Supported by the outstanding performance of his band, the master of shock rock takes the audience on a journey through the darkness, performing his big hits like Poison , School s Out and No More Mr. Nice Guy as well as the recent track Paranoiac Personality featured on the latest studio album Paranormal . A Paranormal Evening At The Olympia Paris is a live album full of music, murder and madness. The showman Alice Cooper himself fascinates with a passionate performance and together with his band, easily turns the whole concert into an unforgettable happening. An enthusiastic crowd and stunning guitar and drum solos underline the vibrating energy of this Paranormal Evening , caught in high quality audio. A must-have not only for Alice Cooper fans but also for everyone who loves top quality music and unique entertainment! The formats come with different front covers.